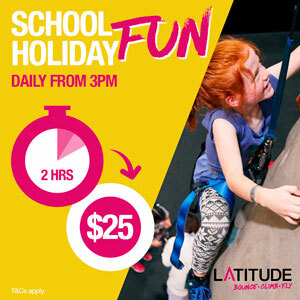 Quarry Adventure Park Meadow Springs, near Mandurah every bit deserves its Adventure Park title. Don't expect to sit back and watch the kids play at this park. 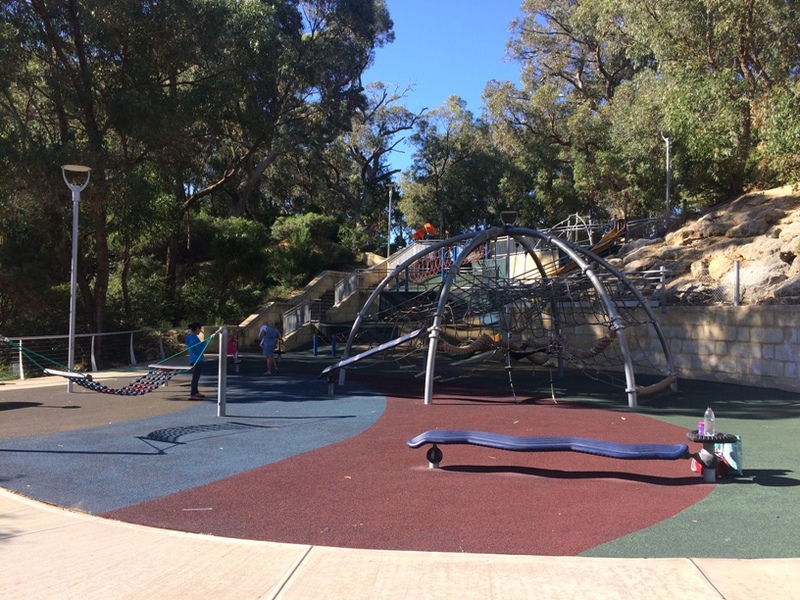 There are different play areas in different sections of the park and there is no doubt your kids will love moving from one play area to the other as they explore this amazing park. 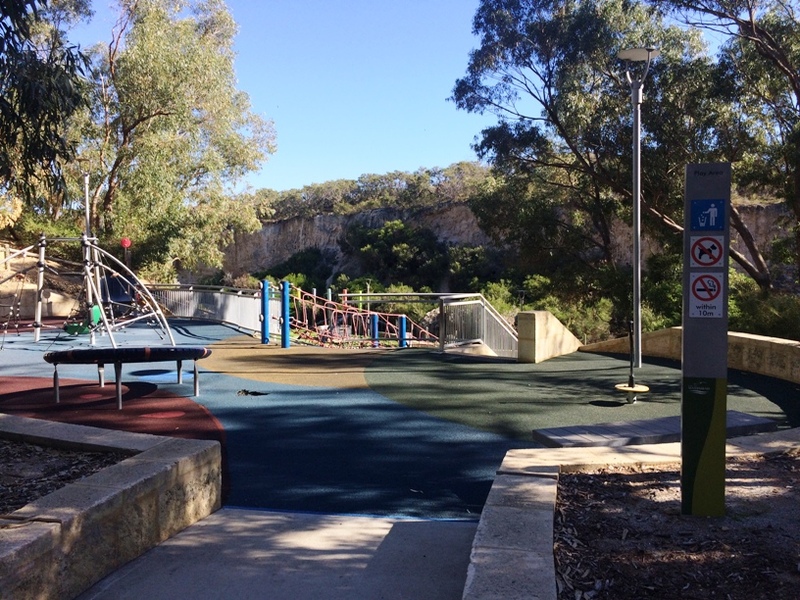 The main playground area is set within an old quarry and features a steep slide that runs all the way down one of the cliff faces. 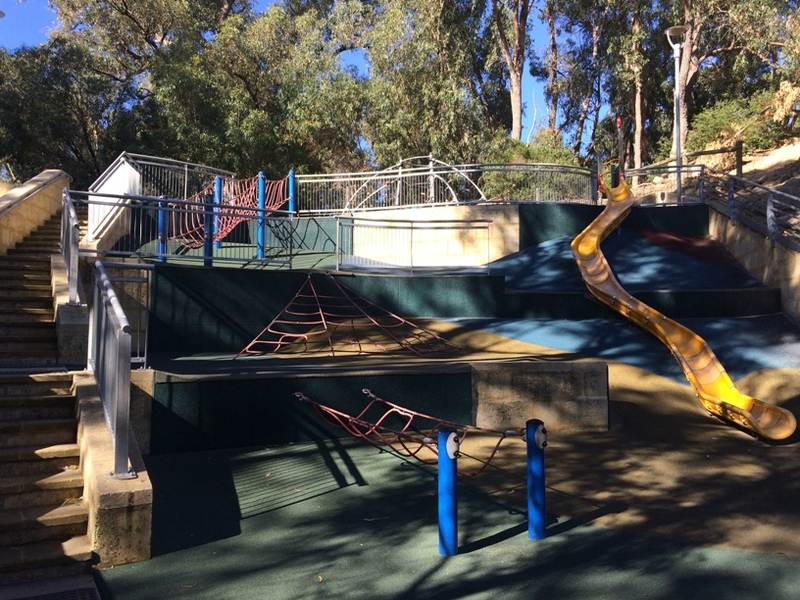 This area will wear the kids out as they either climb up using the ropes or the stairs and slide down, over and over again. Access to the bottom is via the stairs, or you can use the sloping pathway around the other side of the park to get pram or disabled access to this area. 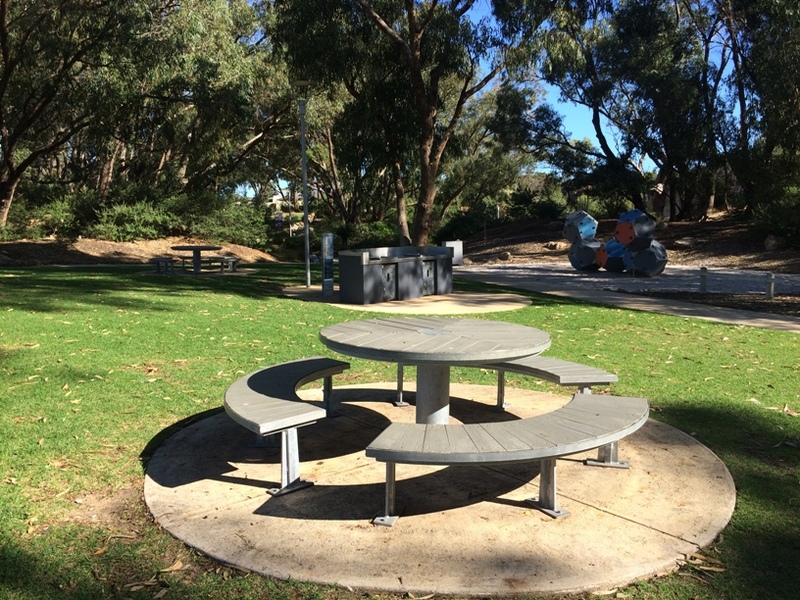 Alongside the bottom playground area are some BBQs and some picnic tables. 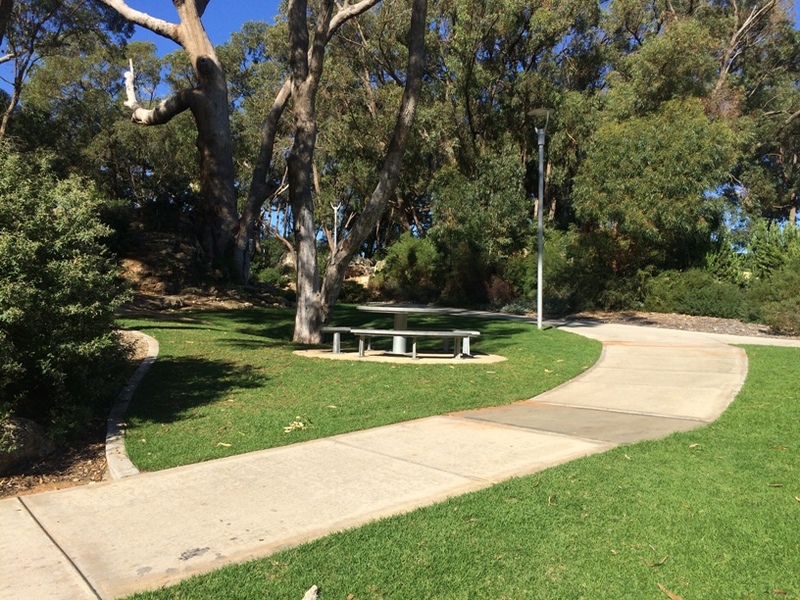 There is another picnic tables alongside the sloping path that takes you to the top section of the park also. 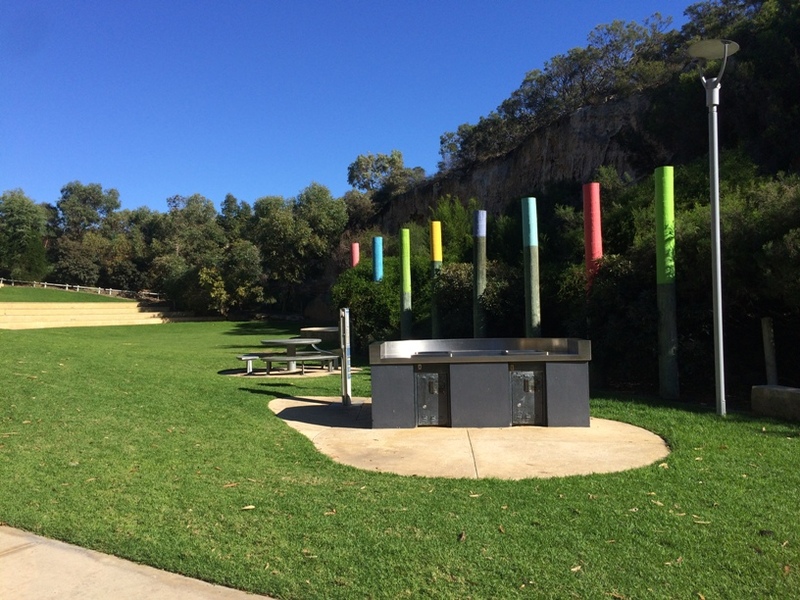 The BBQs and picnic tables near the bottom aren't well shaded, so if you are after a little bit of shade while you are cooking then head up to the BBQ are at the top of the park. 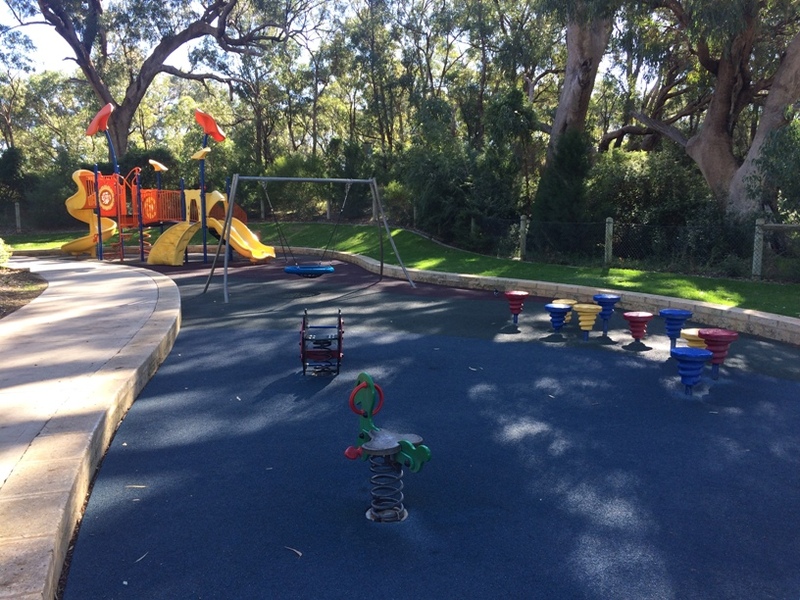 At the top area of the park (which is where you park and enter the park) there are another two play areas. One is near another set of BBQs and a filtered water station and features climbing cubes under a shady area of the park. The toilets are nearby this area, towards the carpark. 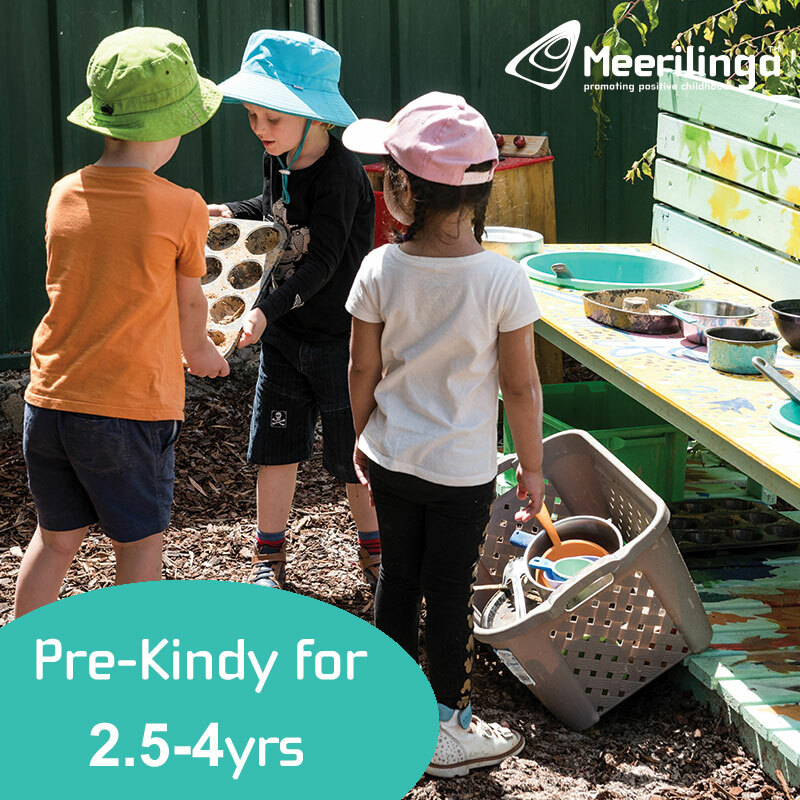 From this area and heading back towards the bottom quarry play area is another fantastic play area, with play structure, bird nest swing and stepping stones under lovely natural shade. If you are after a bit more than just somewhere to play, you can meet with friends and family here and enjoy a day of adventure at Quarry Adventure Park Meadow Springs. 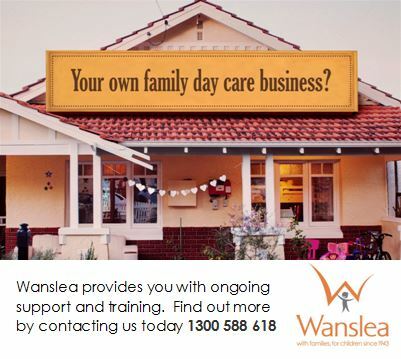 This also makes a great stop if you are spending the day exploring Mandurah. You can also enjoy the outdoor Community Cinemas here in the warmer months.